Age 83 of Aiken, SC formerly of New Boston, went to be with the Lord Saturday, December 1, 2018 in Aiken, SC. She was born February 27, 1935 in Matoaka, WV to B. and Melinda (Shrewsbury) Copen. 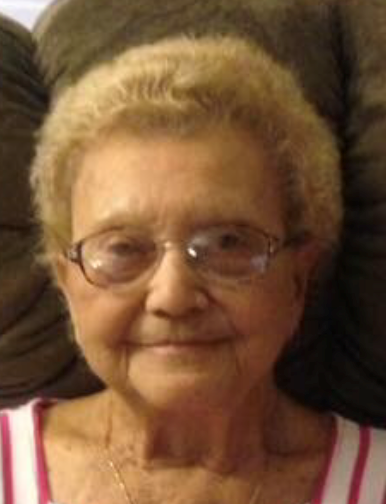 Dixie worked as a clerk in the retail industry and was a longtime member of New Boston Nazarene church. She is survived by son, Zane (Laura) Hodges of Aiken, SC; daughter, Sherry (Ray) Adkins of New Boston; grandchildren, Ryan, Shane, and Sara; great-grandchildren, Riley, Malachi, and Hunter. In addition to her parents, she was preceded in death by her husband, Bill, in 2014; sisters, Romaine McCleese and Maracie Bailey; brothers, Cornelius and Marse Copen. Funeral services will be held at 1:00 p.m. on Wednesday, December 5, 2018 at D.W. SWICK-NELSON FUNERAL HOME in New Boston with Pastor James Patrick officiating. Interment will follow at Sunset Memorial Gardens in Franklin Furnace. Friends may call from 12 – 1:00 prior to the service. Fond remembrances and expressions of condolence may be shared at www.DWSwickNelsonFuneralHome.com.